Your baby wakes up in the morning after a solid night’s sleep. You feed her, change her, play with her, take her for a little walk outside. You then rock her to sleep and put her gently into her cot for the morning nap. 30 minutes later, she wakes up fussy and irritable. Despite your pleading, bargaining, and offers of riches, she refuses to go back to sleep. After half an hour of trying to put her back down, you finally give in, hoping she’ll be that much more tired when her afternoon nap rolls around, only to have the exact same scenario play out again, and baby is overtired and unhappy for the rest of the day. Sleep, like food, is one of the elements where babies get the final say on whether they will or won’t cooperate. There is no sense trying to force the issue. If they’re not sleeping, just leaving them in their room usually won’t fix things. 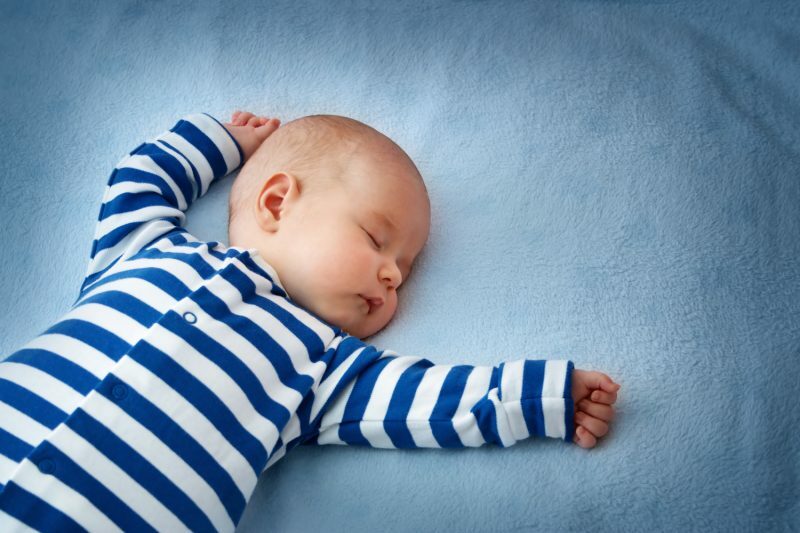 Babies, just like the rest of us, sleep in cycles. We start off in a light state where we are easily woken up, then gradually fall into a deeper stage where loud noises or movement might not be able to rouse us. This, incidentally, is the good stuff, it is the really rejuvenative, restful sleep where our brains and bodies do all of the maintenance work that leaves us refreshed, clear-headed and energetic – when we get enough. Once we’ve come to the end of the deep-sleep cycle, we slowly start coming back to the light stage again. Typically we wake up for a few seconds and then drift off again. The whole process then starts again. That really is the heart of the issue. Once your baby can fall asleep without help, they’ll start stringing together those sleep cycles like an absolute champ. That’s going to make your baby a whole lot happier. On the self-indulgent side, it will leave you with two hours at a time to do whatever you like. Granted, as a new mother, “whatever you like” might not mean what it once did, but still, two hours twice a day to catch up on motherhood-related tasks is something we can all appreciate. Remember back at the start of that scenario, there you were, getting ready to put baby down for her nap, gently rocking her to sleep and then putting her down in her cot. Sleep props are basically anything that your baby uses to make the transition from awake to asleep. Dummies are the most common example, there are many others, including feeding, rocking, singing, bouncing, snuggling, and car rides. I’m not saying you shouldn’t rock your baby, or sing to her, or read her stories, or love her like crazy. You absolutely should. How can if fix it? Sleep is a skill that needs to be learnt, just like crawling and walking. Ensure your child isn’t overtired going to bed. Think about that, what a wonderful thought. Two or three days, and you and your little one could be enjoying the wonderful benefits of proper sleep. She’ll be happier, healthier, more energetic, and you’ll both sleep better at night too. White noise machines are useful if baby tends to wake due to environmental noises. Like the neighbour’s barking dog, the ringing of the doorbell, or any other noise that might startle them out of their nap. Just make sure it’s not too close to their ears and not too loud. 50 dB is the recommended limit. If you’re running into trouble applying these suggestions, get in touch and set up a free 15 minute consultation. The solution might be simpler than it appears, and most of my clients see a dramatic improvement in just one or two sessions.